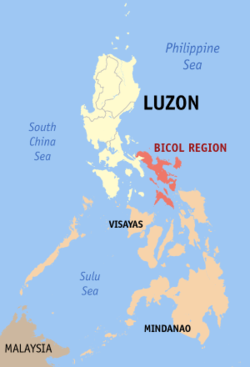 The Bicol Region, also known simply as Bicol, (Central Bikol: Rehiyon nin Bikol/Kabikolan; Rinconada Bicol: Rehiyon ka Bikol; Filipino: Kabikulan; Spanish: Bicolandia) is a region of the Philippines, designated as Region V. Bicol comprises six provinces, four on the Bicol Peninsula mainland (the southeastern end of Luzon) – Albay, Camarines Norte, Camarines Sur, and Sorsogon – and the offshore island provinces of Catanduanes and Masbate. The regional center and largest city is Legazpi City, Albay. The region is bounded by the Lamon Bay to the north, Philippine Sea to the east, and the Sibuyan Sea and Ragay Gulf to the west. 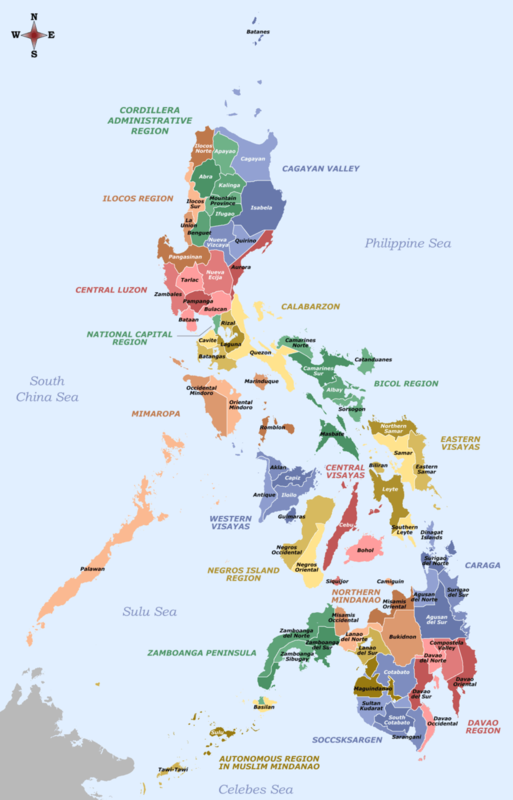 The northernmost provinces, Camarines Norte and Camarines Sur, are bordered to the west by the province of Quezon. The Bicol region was known as Ibalon, variously interpreted to derive form ibalio, "to bring to the other side"; ibalon, "people from the other side" or "people who are hospitable and give visitors gifts to bring home"; or as a corruption of Gibal-ong, a sitio of Magallanes, Sorsogon where the Spaniards first landed in 1567. The Bicol River was first mentioned in Spanish Documents in 1572. The region was also called Los Camarines after the huts found by the Spaniards in Camalig, Albay. 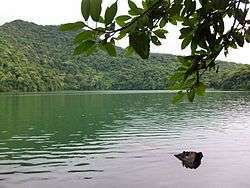 No prehistoric animal fossils have been discovered in Bicol and the peopling of the region remains obscure. The Aeta from Camarines Sur to Sorsogon strongly suggest that aborigines lived there long ago, but earliest evidence is of middle to late Neolithic life. The Spanish influence in Bicol resulted mainly from the efforts of Augustinian and Franciscan Spanish missionaries. 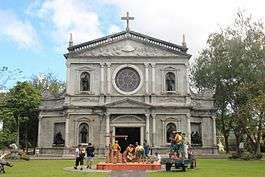 The first churches in Bicol, the San Francisco Church, and the Naga Cathedral, both in Naga, along with the Holy Cross Parish in Nabua, Camarines Sur, are instituted by the Holy Order of the Franciscans. One of the oldest dioceses in the Philippines, the Archdiocese of Caceres, was also instituted in the Bicol Region. During this time, Bicol was dotted by many astilleros (shipyards) which were focused on constructing Manila Galleons from the local hardwood forests. The region has one independent component city, Naga, and six component cities — Iriga, Legazpi, Ligao, Masbate City, Sorsogon City, and Tabaco. 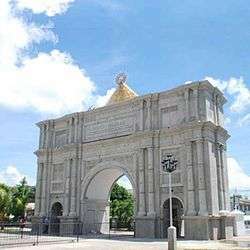 Masbate and Sorsogon are cities in their eponymous provinces. Looking at the growth rates, all of the five provinces registered positive increases except for the province of Camarines Norte. Most evident were those for the provinces of Catanduanes, Masbate and Sorsogon, all of whom registered more than 50% increments in the 1980-1990 and 1990-2000 periods. The positive increase in the growth rate of Catanduanes was attributed to the improved sea transport facilities for ferrying people and cargo to and from the port of Tabaco. The opening of the port of San Andres and the rehabilitation of Virac Port likewise provided better access to goods and services in the province. The majority of the population in Masbate and Sorsogon speaks Minasbate and Sorsoganon respectively. The two are Visayan languages but heavily influenced by Bikol languages, thus tagged and collectively referred to as Bisakol, a portmanteau of Bisaya (Visayan) and Bikol (Bicolano). Aside from Masbateño, three more Visayan languages are spoken in Masbate, including Hiligaynon/Ilonggo is spoken in the southwestern tip, while Cebuano and Waray-Waray are spoken in the southern part of the island province respectively. Tagalog is the dominant and native language of Bicolanos living in the municipalities in the northern half of Camarines Norte. PORTA MARIAE: "THE GATEWAY TO FAITH"
The region retains Roman Catholicism as the overwhelming religion of the great majority. The Catholic religion has the highest number of followers than any other area in the Philippines. The Catholic church grew in the Bicol Region through the efforts of the Bishops from Nueva Caceres(Naga) from the late 14th century until the Philippine Revolution in 1898. Naga, Camarines Sur is the religious center of the Bicol Region. The region houses one of the oldest dioceses in the Philippines, the ecclesiastical Archdiocese of Caceres, which is centered in Naga, Camarines Sur. Other dioceses include are the Dioceses of Legazpi, Sorsogon, Daet, Masbate, Libmanan and Virac. Fiestas (Feast day of saints) are annual celebrations of parishes, from a simple barrio fiesta honoring a patron associated for good harvest, to a town fiesta honoring a miraculous saint, a diocesan fiesta like the feast of Our Lady of Salvation, or a regional one such as the Our Lady of Peñafrancia Fiesta, the largest Marian devotion in Asia, a week-long celebration to honor the Virgin Mary, dubbed as the "Patroness of Bicolandia". In Luzon, the Bicol Region holds the most number of men entering the seminary for Catholic priesthood, or women entering the religious life to become Catholic nuns. This can be accredited to the Holy Rosary Seminary, Daughters of Mary, and Daughters of Charity Convents in Naga. The largest minority religion in the region is Iglesia ni Cristo (INC) known for its magnificent worship buildings, commonly called chapels or kapilya, with towering spires that dot the Bicol landscape. Each province represents one ecclesiastical district (E.D.) 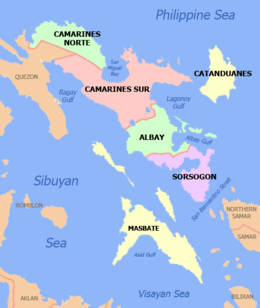 with the exception of Camarines Sur which is divided into two - Camarines Southwest E.D. in Naga, and Camarines Southeast E.D. in Iriga City. In total, INC has seven ecclesiastical districts in the Bicol region. 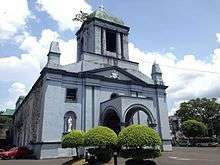 The chapel of local congregation of Legazpi, Albay is the biggest. Abaca Festival is an annual cultural celebration of the province. It cognizance of the importance of abaca in the local economy and the need to showcase its versatility as a major source of livelihood and craft material which has brought Catanduanes fame and fortune. The festival will showcase the life and resilient spirit of the Catandunganon and its culture, as well as the uniqueness and exoticness of the island and its people. The main features of the festival are: Padadyaw Ginamlangan or Padadyaw kan Abaka, Pinukpok Fashion Show, Urag Catandungan sports competitions, Kantang Catandungan or Musika kan Isla, Festival Dance Competition, Binibini and Ginoong Bikol, Hagyan sa Kabitoonan and Jobs Fair. It happens every 4th week of May. Catandungan Festival is an annual prime celebration of the island province. It is the anniversary celebration and tribute to its founders, to continuously remind the people of Catanduanes of the provinces' independence from the province of Albay. The main features of the festival are: Street Dancing - Pantomina Dance, Beauty Pageant, Agro-Trade Fair, Sports Fest, Guided Tour, Surfing Cup, Art/Photo Exhibits, Etc. It happens every 24th-26 October. Coron Festival - A showcase of events highlighted by a street presentation participated in by the town’s different public and private schools and sectors gives a week of fun and merriment to visitors and locals. Held every third week of August in Tiwi, the religious package of devotion and prayer in honor of Albay’s patroness, Nuestra Señora de Salvacion (Our Lady of Salvation), is the peak event of the festival, colorfully drawing thousands of devotees and religious groups through a long maritime procession of different local sea vessels on the sea spray of the serene Pacific Ocean going to the quiet barangay of Joroan, the home of the miraculous image. The Pili Festival - celebrates the pili, which supports the livelihood of many Sorsoganons. 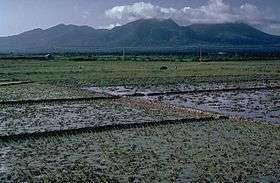 Although the growing of pili is popular in the other provinces of Bicol, it is Sorsogon which has the largest land area devoted to pili farming. The Feast day of the Patron Saints of Sorsogon City- Sts. Peter and Paul coincides with the celebration of Pili Festival. Their feast day is on the 29th of June. Catholic Mass and Processions happen during this day. Ibalong Festival - A non-religious festival in Legazpi City, Albay held during August. Kasanggayahan Festival - celebrated in the whole province in the last week of October, commemorates the founding of Sorsogon as a province. Festivities include a series of cultural, historical, religious, agro-industrial and economic activities, showcasing the province's abundant agricultural products, particularly food and decorative items. Though a provincial event, most of the festivities during the Kasanggayahan Festival including the "Pantomina sa Tinampo", street dances and others are conducted in the city since this is the provincial capital of Sorsogon and the seat of the province is in the city. Kadagatan Festival - Formerly called the Bancathon race, the festival is a water sport activity participated in by fishermen from the different municipalities of Albay aimed to give recognition and at the same time provide a venue to the fishermen to show their strength, skills, and contributions to the socio-economic development of the region. Held in Bacacay every black Saturday. Kamundagan Festival - Naga City celebrates the Kamundagan Festival every Christmas time. It begins with the lighting of the Christmas Village in the Plaza Quezon Grandstand. After the lighting of the Christmas Village, six locally handmaid stars, known locally as parols are lighted with different meanings. Love, progress, peace, happiness, prosperity, and joy symbolize the stars. The giant Christmas tree is lighted twoweeks before Christmas. Every night, different fantasy-themed Christmas shows are held in the Plaza Quezon. A Grand Christmas Bazaar is also held near the Cathedral, exhibiting different talents in Magic, Trickery, Beauty, and Brains. The Bazaar also has some stores that sell locally-made Christmas themed products for visitor. Katalingkasan Festival - The festivity retraces the valiant story of the virgins of the town who worked hard in making Libon as one of the earliest settlements in Albay. Featured activities are trade fairs, shows, and street dancing. Held every second week of July. Kinalas Festival - Naga City celebrates Kinalas Festival during its yearly anniversary of Chartership or Cityhood. 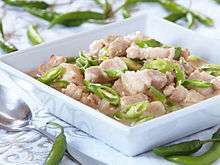 It honors the most famous local delicacies, the Kinalas, and Siling Labuyo, with it having a food contest. Also known as Charter Day Festival, different organizations and schools, compete in Sports and Academics, as sponsored by the local government. Magayon Festival - In admiration of the Majestic Mayon’s beauty and splendor, this festival is dubbed as Magayon, a Bikol term which means beautiful. Pagsuwak Festival - The act of thanksgiving for Guinobatan’s growth, development, and progress, fitted in with the people’s gesture of offering for the bountiful harvest. Held every 9th-15 August. Rodeo Masbateño Festival - Is an annual event which takes place in Masbate City which showcases skills in livestock handling, such as lassoing, wrestling, and riding cattle. Also included in the event are a fair and exhibitions and trade of cattle and horses. The event has taken place every summer since 1993 in the province of Masbate, which is traditionally considered the "Cattle Country of the Philippines." Salingoy Festival - Salingoy is a Bikol term that literally means looking back. A century of devotion (1901-2001) to one of Bacacay’s patron saints, Nuestra Señora de los Samparados, Salingoy Festival came into being, a centennial commemoration of unbroken reverence to God’s blessings and bounty. Salingoy looks back with humility by reminiscing into the richness of fidelity to Our Lady (Holy Mother Mary) and to relive Bacacay’s historical, socio-cultural, and religious heritage. Held every August 9 up to 15. Sarung Banggi - An annual fun-filled eight-day summer festivity immortalizing the timeless love song Sarung Banggi, and a tribute to its composer, Potenciano V. Gregorio. Held every 18th - 25 May in Sto. Domingo, the Sarung Banggi festival showcases a variety of cultural and religious activities. The entire colorful performance is shown at nighttime when the street parade routes are brightly lighted with large torches. The whole town becomes a true picture of rural life with the multitude of people occupying the streets to watch and join the nighttime merriment. Tinagbuan Festival - This festivity is in honor of the city’s patron saint, St. Stephen Protomartyr held every Christmas Day. Tinagbuan, from the term tagbuan, which means converging point, is exactly the essence of this festival as it enables Ligaoeños to come back to Ligao for a blessed reunion with their families and friends. The festival’s highlight is the street dance presentation. Tinagba Festival - Celebrated on February 11, it is a reenactment of an old pagan ritual of offering the best produce of the land. A parade of colorfully decorated bullcarts with equally colorful dressed men & women from all walks of life makes the celebration very festive. A human rights lawyer, congressman and senator. The Vice President of the 16th republic of the Philippines and politician and lawyer currently serving as Member of the Philippine House of Representatives from Camarines Sur's Third District. The widow of the late Interior Secretary Jesse Robredo. Congressman (1992-2001), Governor (2001–2006), Principal author of the Philippine E-Commerce Act that paved the way for the burgeoning $20b BPO industry in the Philippines. She is daughter of the famed star-builder of Sampaguita Pictures, the late Doc Jose Perez and Azucena Vera-Perez. She is the wife of Jose de Venecia, Jr., Speaker of the House of Representatives of the Philippines from 1992 to 1998 and 2001 to 2008. Born Ernest Lorenzo Dee, is an actor, director and model, and an international competitive swimmer. He came to prominence after starring in Katorse (2009). Born Angel James Dee III, is an actor and an international competitive swimmer. He played the role of Tony Javier in the play A Portrait of an Artist. Popularly known as Manoy is a Filipino film actor and film director. A former member of the Philippine Scouts in Okinawa during World War II. The Philippine Military Academy Marangal (Honorable) Class of 1974, alongside First Gentleman Mike Arroyo. Is a Filipino comedian, singer and actor. He is best known appearing alongside his co-tandem Jose Manalo on the noon-time television variety show Eat Bulaga!. Film/TV actress,model,host and Miss International 2005 winner. 1 2 3 4 5 Census of Population (2015): Highlights of the Philippine Population 2015 Census of Population (Report). PSA. Retrieved 20 June 2016. ↑ "Overview of Bicol Region" Archived April 16, 2010, at the Wayback Machine.. Department of Agriculture Web Site; retrieved 22 May 2012. ↑ "DILG Regional Office No. 5 Directory". Bicol Region Official website; retrieved 22 May 2012. ↑ Mara Angelica Refraccion. "Bicol (pre colonial history)". Maraangelica.blogspot.com. Retrieved 2016-03-11. ↑ "PSGC Interactive; List of Provinces". Philippine Statistics Authority. Archived from the original on January 21, 2013. Retrieved 29 March 2016. ↑ "Bicol Regional Profile". denr.gov.ph. Retrieved 26 August 2014. ↑ Gatdula, Donnabelle L. (2013-06-03). "Naga City allots P1B for infra". Philstar.com. Retrieved 2016-03-11. ↑ F. J. Lagdameo (2010-09-23). "PNoy's EO declares Naga 'Pilgrim City'". Vox Bikol. Retrieved 2016-03-11. ↑ "Proclamation No. 33, s. 2010 | Official Gazette of the Republic of the Philippines". Gov.ph. 2010-09-10. Retrieved 2016-03-11. ↑ "Catanduanes Surfing like no other". Philippines-travel-guide.com. 2016-01-28. Retrieved 2016-03-11. ↑ "Naga's Kamundagan fest kicks off « Dagos po sa Maogmang Naga". Naga.gov.ph. Retrieved 2016-03-11. ↑ "SP HIGHLIGHTS: Kamundagan Festival". Bicol Mail. Retrieved 2016-03-11. ↑ "Naga City's Kinalas Festival – June 17, 2011". Angkulet.com. Retrieved 2016-03-11. ↑ "MAGAYON FESTIVAL ("Festival of Festivals Showdown")". Tourism.gov.ph. Archived from the original on 2016-03-16. Retrieved 2016-03-11. ↑ "Peñafrancia viva la virgen Naga City Bicol Philippines". 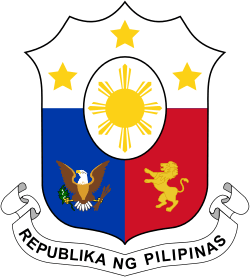 Philippinecountry.com. Retrieved 2016-03-11. ↑ "Peñafrancia civic parade reels off today; military parade on Friday « Dagos po sa Maogmang Naga". Naga.gov.ph. Retrieved 2016-03-11. ↑ "4th Regional Military Parade Winners ~ Naga City Deck". Nagacitydeck.com. 2012-09-14. Retrieved 2016-03-11. ↑ McDermott, Delfin, Defant, et al. (2005). 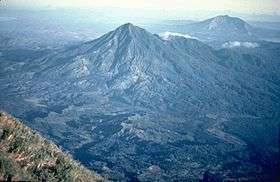 "The Petrogenesis of Volcanics from Mt Bulusan and Mt. 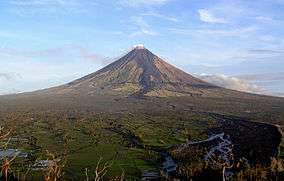 Mayon in the Bicol Arc, Philippines". University College Dublin School of Geologic Sciences; retrieved 22 May 2012. ↑ "Our Geothermal Projects". Energy Development Corporation; retrieved 1 August 2011. ↑ "Isarog". Global Volcanism Program. Smithsonian Institution. Retrieved 22 May 2012. 1 2 3 "Protected areas of Region 5". Bureau of Protected Areas and Wildlife Bureau; retrieved 22 May 2012. ↑ "Iriga". Global Volcanism Program. Smithsonian Institution. Retrieved 22 May 2012. ↑ "Malinao". Global Volcanism Program. Smithsonian Institution. Retrieved 22 May 2012. ↑ "Masaraga". Global Volcanism Program. Smithsonian Institution. Retrieved 22 May 2012. ↑ "Mayon". Global Volcanism Program. Smithsonian Institution. Retrieved 22 May 2012. ↑ "Pocdol Mountains". Global Volcanism Program. Smithsonian Institution. Retrieved 22 May 2012. ↑ Jamoralin, Reynaldo T.. "Places of Interest". Sorsogon Tourism; retrieved 22 May 2012. ↑ "Bulusan". Global Volcanism Program. Smithsonian Institution. Retrieved 22 May 2012. ↑ "K-12 Primer as of 20 December 2011" (PDF). Department of Education. Archived from the original (PDF) on 2012-05-22. 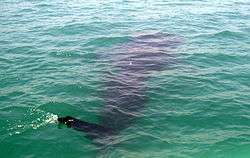 Retrieved 28 April 2012. ↑ "Hon. Gerona-Robredo, Leni". Congress.gov. Retrieved 2016-03-11. ↑ "John Arcilla". IMDb.com. Retrieved 2016-03-11. ↑ "John Arcilla Photos | Who is John Arcilla dating? Girlfriend, Wife". Whosdatedwho.com. Retrieved 2016-03-11. ↑ Marya Salamat. "John Arcilla, actor, environmentalist attends Peoples' Mining Conference – Bulatlat". Bulatlat.com. Retrieved 2016-03-11.